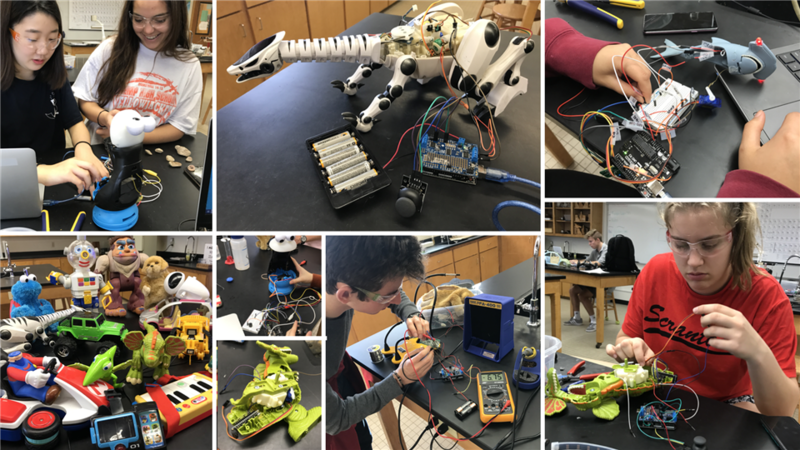 In this camp you will learn how robotic and electronic toys work by taking them apart, analyzing their circuits, and then reprogramming them using a microcontroller. The best part is that you get to take home the microcontroller and the electronics for more experimenting! This camp is taught by St. Stephen’s electronics and robotics teacher Troy Lanier.